2017 LIBN Commercial Broker of the Year! Ron Koenigsberg, CCIM, president of American Investment Properties in Garden City, sold about $47 million worth of commercial real estate in 2016, which included 246, 515 square feet of commercial space. Among Ron’s noted deals included the $27 million sale of the Cherry Valley Shopping Center in West Hempstead, where he represented both the seller and buyer in this transaction. 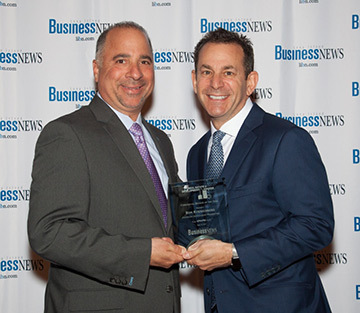 American Investment Property was awarded the 2017 Best Commercial Real Estate Agency- Long Island. The 2017 Real Estate and Property Awards celebrate the very best companies, and the talented individuals behind them, that have shaped the built environment globally over the past twelve months. This does not merely include those who physically work to create the buildings, such as architects and surveyors, but also those working behind the scenes to keep the market moving: the estate agents, property lawyers and financiers whose expertise ensures that the clients successfully climb the property ladder and find what they need at the top.